I bought this beautifully photographed coffee table book when I was 21 after seeing ads for it in Essence. It was my first book about self care and one of the first books I know of that covered self care from a black woman's perspective. Mikki Taylor, a former beauty editor at Essence, starts the book with her story about her journey into a self care centered life, and her story sounded much like mine and many other women I know. She was stressed and caught in a web of unhealthy habits when she finally realized that self care starts with knowing yourself enough to know what you really want in life and using that knowledge to create a life in which self care becomes an everyday, continual ritual. The book frames makeup, hair care, fitness, good nutrition, and even getting a great set of self portraits as tools that help a woman express and honor her true self. This book would make a great housewarming gift in a gift basket with some tea and maybe an aromatherapy set. Until I read this book, I never thought about the intersection between self care, the way a person decorates his or her home, and how both of these things tie into worship. I'm glad I'm finding this book now since I've just moved into a new apartment and I've been thinking about how to turn it into a space that is reflective of my personality and the life I want to live. Bailey includes worksheets to help readers create a plan to transform their homes into a personal sanctuary and prayers that are themed around the idea of home, creating a home, and being a good steward of a home. This book changed my life. I've recommended this book to everyone I know. It's been pinned, Instagramed, posted on Facebook, and Tweeted on every profile I have online. I bought this book on a whim as a fresh-out-of-college teacher who was starting to have second thoughts about teaching as a career. Gandy's story of redemption and renewal gained through her dedication to living according to her "pampering principles" motivated me to get my first Master's degree in journalism and pursue a serious writing career. Get this book if you are at a crossroads in your life. This one has been on my To-Read list for years. Stephanie Stokes Oliver is an alum of the Essence editorial team as well as a founding editor of both Heart & Soul and NiaOnline, so she used her years of interviewing experience to weave together the experiences and wisdom of women from a wide range of professional backgrounds to create a book that promises to be the ultimate guidebook to living a vibrant, purposeful life. It reminds me of Sacred Pampering Principles, so I'll post separately about the similarities and differences in the two books. Seems like a great book for a reading challenge too. This is another one that's on my To-Read list. If you have yet to create a life list, this is a great book to jump start you since it's basically a workbook that includes worksheets to help you create your list in steps combined with research about goals, success, and motivation. 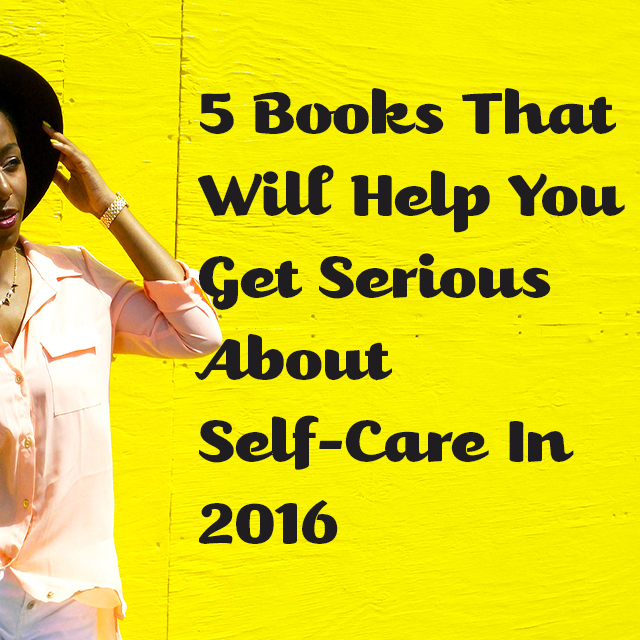 What are some of your favorite books about self-care and/or goal planning? Have you started planning for 2016? Let me know in the comments!